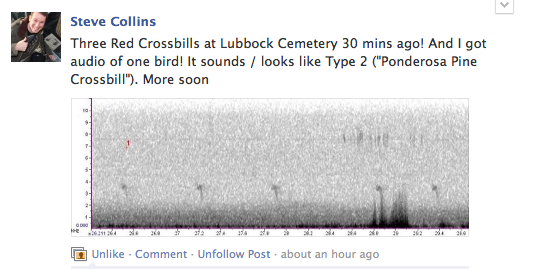 Those of you unfamiliar with Texas and/or the Trans-Pecos region, Lubbock is several hours NNE of us. Here's the triumphant Facebook post (screenshot - no link) from around 7:30 pm. 11/28 UPDATE - Williamson's Sapsucker still present at the Marathon cemetery. Ferruginous Hawks, McCown's and Chestnut-collared Longspurs still present at Prairie Dog Town. Green-tailed Towhees at Post Park in several spots. Apparently the ultimate crime against ornithology is failing to record a Red Crossbill... well, it's up there on the list at least. Maybe. 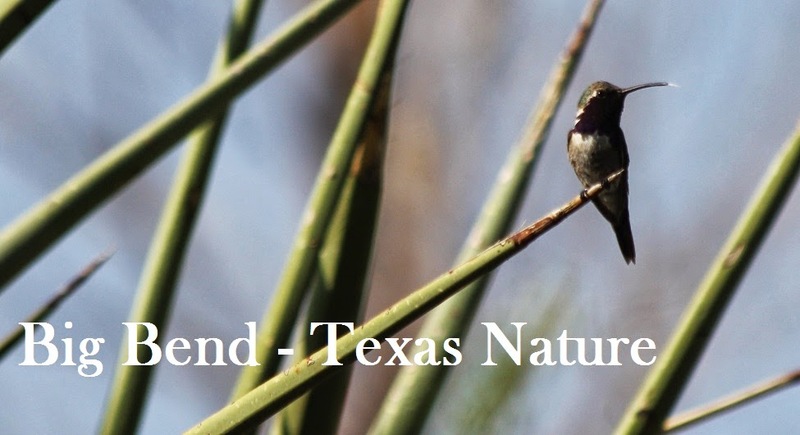 It seems that of all the crossbills being reported in Texas so far, not one report has attempted to determine the 'type' of Red Crossbill, or noted the calls, much less gotten recordings. eBird has a lovely post from Matthew Young on the mess of Red Crossbill identification. Regardless, here's a snippet of correspondence that may or may not be helpful, seeing as the previous post covers the loud, clear "tew tew tew" just about as well as this one. Which call type? / Record that sucker! [description/link] I'd guess type 2 based on that description and likelihood there. What call type is it? 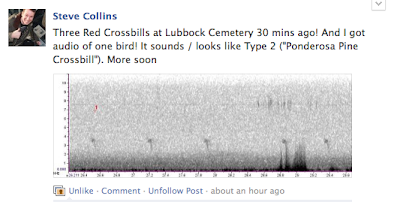 No one has mentioned the call type for any of the Texas Red Crossbills. I know more about the ones in New Jersey!! I hope you can record it. Apparently even an iPhone will do, but an external mic would be an improvement. A videocamera will also have a good mic. I noticed that you had a Red Crossbill and was wondering if by chance you recorded the bird with an iphone? The Red Crossbill complex is made up of 10 distinct call types with some perhaps being good biological species. Given bill size and description of call as a tew-tew-tew, a very likely type 2. This type says it's name. Usually there's a husky quality to type 2, but occasionally they can have more of ringing quality to them. So until further notice, we've had 4-5 quiet birds (making crunching noises on pine cones) around 11/15 or so and 1 very loud bird on 11/27 that falls into the type 'tew' category.